The phrase V2V, meaning vehicle-to-vehicle communication, gets tossed around a lot when autonomous cars and the future of car safety come up. But it’s not some far-off thing: it’s becoming a reality on current cars, with Cadillac in particular launching it as standard on all 2017 CTS sedans. So what is V2V, how does it work and why do we need it? 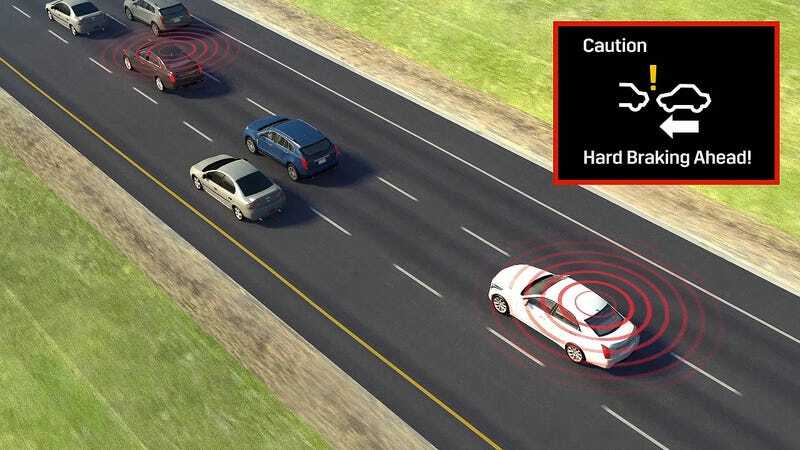 Up to 80 percent of crashes not attributed to driver impairment could be mitigated by implementing V2V tech across the industry, according to estimates from the National Highway Traffic Safety Administration. The agency says it wants to require all future cars and light trucks to come equipped with a Dedicated Short Range Communication system, meaning it could transmit about 300 meters, and utilize a piece of the broadcast spectrum set aside by the Federal Communications Commission specifically for such technology. Ideally, the government’s goal is to a set of regulations established by 2019, with a final rule in place soon after that mandates every new car to have a V2V system by 2023. Whether the new administration’s transportation secretary, Elaine Chao, is going to move that along is still unclear; she recently said she’s reviewing some related guidelines issued by her predecessor. Now, up front, it’s worth noting that we’re not talking about something widespread in the industry: these new Cadillacs won’t have any other vehicles to chat with, just other CTSs. But the luxury automaker thinks it can demonstrate why the technology is important for auto safety based off that alone. The National Highway Traffic Safety Administration, for one thing, thinks it could prevent about 7,325 fatalities annually. “That’s really the key benefit,” said Matthew Kirsch, a Cadillac engineer focused on automated driving and active safety, in an interview. Drivers can be alerted to potential hazards in the road, Kirsch said, and pump the brakes or switch lanes. The features can transmit a signal up to nearly 1,000 feet away to other cars. 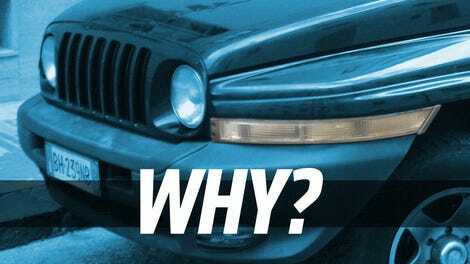 “This gives [motorists] time to react or to potentially avoid and mitigate any danger of that hazard,” Kirsch explained. Drivers can customize how they’re alerted to hazards—for instance, an alarm going off—through their infotainment system, Cadillac says, and the alerts can be displayed in the instrument cluster or head-up display. The new CTS offers driver awareness and driver assist activity safety features like Adaptive Cruise Control, automatic front and rear braking, forward collision mitigation, lane keep assist, and rear cross traffic alert. What’s different here is that Cadillac’s system relies on the FCC broadcast spectrum, unlike, say, Tesla, which uses radar to implement features like forward collision warning. There’s potential for 5G wireless connections to play a role in the future, too—if all the kinks can be worked out. However it’s accomplished, the usefulness of V2V is vast, Kirsch said. It’s still in its early stages, and there’s probably some risk in moving forward before regulations are set in stone, but with autonomous technology front-and-center, Cadillac thinks V2V is a proper step on the way to the purported self-driving car revolution. And it certainly seems V2v tech is a simple approach to improve auto safety and, eventually, making autonomous vehicles work effectively. “When it comes to actually being able to buy autonomous cars from the dealership, we’re not quite there yet,” said Chris Bonelli of advanced technology at General Motors. Self-driving cars will come equipped with high-powered radars, sensors and cameras, bolstered by detailed mapping systems. But V2V tech is still a critical resource for their success because it doesn’t require the vehicle to see what’s happening up the road. It can work in harmony with the gadgetry that’ll makes robot cars work. Automotive News highlighted one such example where having both can be a benefit, if not essential, to AVs. Back in 2015, self-driving vehicles operated by Google and Delphi Automotive nearly collided on a California roadway, when Google’s Lexus RX400h switched lanes and cut off the Delphi vehicle. Kristin Kinley, a spokesperson for Delphi, told the news outlet that it’s a common driving scenario, and while the Delphi car had V2V tech, it wasn’t communicating with Google’s vehicle. The first fatality involving a self-driving car also might’ve been prevented if vehicles were connected with one another. The owner of the vehicle, a Tesla Model S, hit the side of a tractor trailer, and neither Tesla’s Autopilot system nor the driver noticed it before the crash. That’s why Huei Peng, a mechanical engineering professor at the University of Michigan, said the crash “might have been avoided entirely if the Tesla and the tractor-trailer it hit had been able to talk to each other.” It’s an extra layer of protection. Will Other Automakers Start Doing This? It’s unclear. If Cadillac can quantify some benefits to V2V, it’s certainly going to make other automakers seem regressive to wait until 2023. If anything, it’s a very straightforward safety feature that, as Cadillac puts it, can begin now. Along with vehicle-to-infrastructure tech—like Audi’s decision to let its vehicles to communicate with traffic signals—there’s a definite possibility to cutback the high number of car crashes. That’s why Cadillac says it’s long-term goal is to have V2V equipped on more vehicles industry-wide.